Angie in T.O. 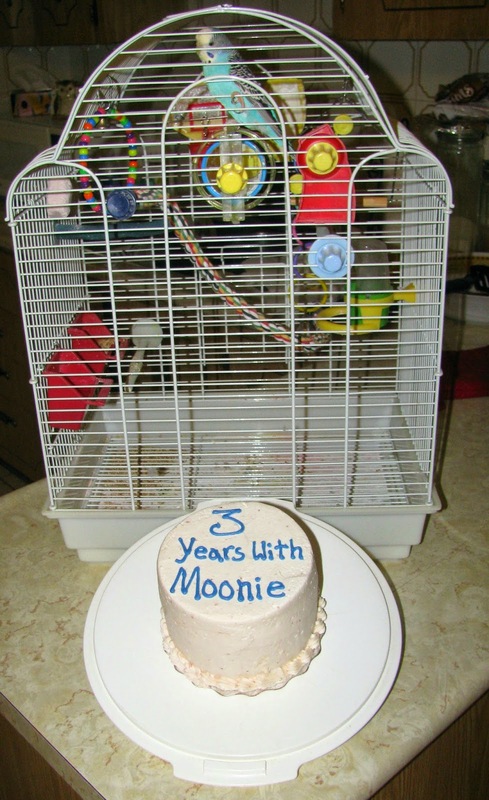 : THREE YEARS WITH MOONIE! 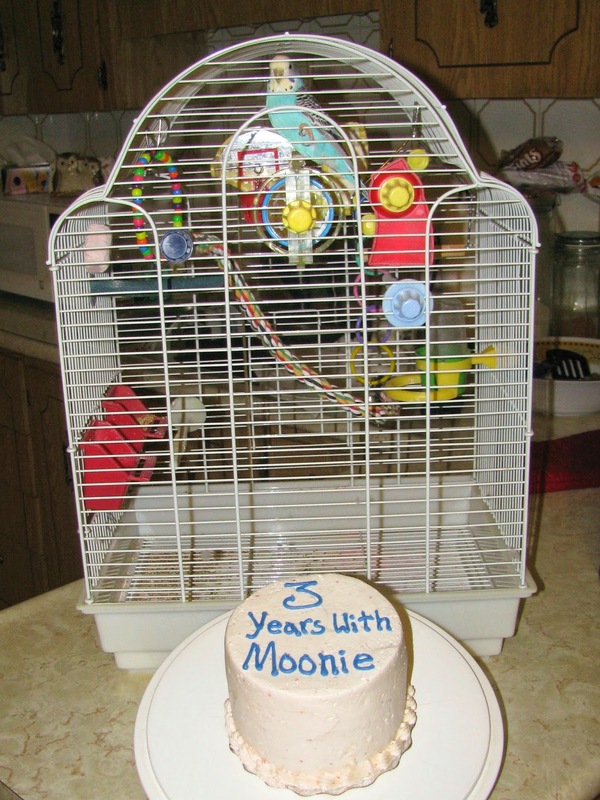 With all the concern and worry over Meadow the last few weeks, I forgot to blog about Moonie's anniversary with us. Three years ago, on August 17th, a little blue budgie was walking around in our backyard, and within 5 minutes of spotting him, he was in our house. To read the whole story, click here. The house wouldn't be the same without him, but it would sure be a lot quieter.